South Side teen rapper Chief Keef — who calls himself “Big Gucci Sosa” — is expected to get released from juvy lockup Thursday after serving 60 days for violating probation on a gun charge. And Chief Keef’s “Granny” can hardly wait. Chief Keef got locked up in January after Cook County Juvenile Judge Carl Anthony Walker ruled the rapper — whose real name is Keith Cozart — violated his probation when he appeared in a Pitchfork.com video holding a rifle at a New York gun range. 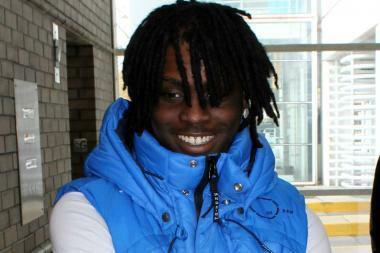 Chief Keef, 17, was released after appearing in court Thursday. 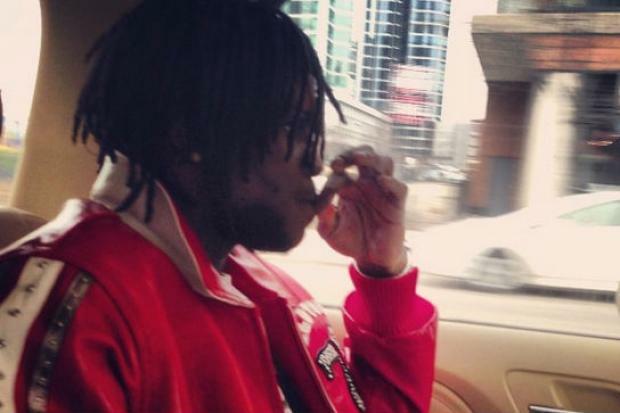 "After this, the case is done," Keef's attorney Dennis Berkson said. "I hope he resumes his career and does what he needs to do to promote his music." Carter said Chief Keef plans to release a single from his forthcoming album shortly after getting out of jail. Carter visited Chief Keef three times while he was locked up. She said he has been focused on music and studying for this high school equivalency exam — but she's not sure if he took the test. Chief Keef outside Juvenile Court in 2012. Well, Granny says she doesn’t know if Chief Keef actually plans on taking up Pastor Corey Brooks on his offer to baptize the rapper. Carter said she’s relieved that Chief Keef will soon be out of trouble and back to busting rhymes. But she’s stressed about all the shooting in Chicago, especially after the murder of infant Jonylah Watkins, who was shot about a mile from the Washington Park apartment where Chief Keef lived with Carter. Still, Carter said she’s not worried about Chief Keef — who raps about shooting rivals and snitches — getting involved in violence or getting caught with guns.